Our paddle boards are top of the line, 10'0'', 10'6'', 10'8'', and 12' long and equipped with life vests with marine grade whistles, leashes, and paddles. Every rental receives Coast Guard quality safety accessories: life vests (PFDs), whistles, and paddle board calf leashes. We deliver our equipment to any location within 20 miles of Mexico Beach, Florida including to your hotel or any beach location of your choosing. We provide a brief orientation and safety tips for all customers so you feel confident and comfortable with the gear. If you have never paddle boarded before and are interested in learning a new sport, we are happy to schedule a 30 minute on shore introductory lesson before your rental. 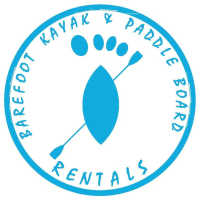 We have experienced and friendly instructors with a passion for teaching stand up paddle board techniques. We offer universal adult and youth sizes that adjust to your comfort to rent for $5 per day. Ranging from child weight 30-50lbs, youth weight 50-90 lbs, and adult universal sizes. *For rental customers, all life vests per vessel seat are included for no additional charge with your rental.